We hire Photo Booths in Glasgow, Edinburgh, Dundee, Aberdeen, Dumfries, Inverness, Perth and all around Scotland. We provide unlimited prints at a huge 9 inches by 6 inches and all photos are added to a pen drive and social media if requested at no extra cost.. The towns and cities noted above are only some of the places where we provide photo booths, and it would probably be more accurate to say our photo booths can be found all across the country. We can setup in a small space using either our inflatable booth for privacy and backdrop lighting from the photopod, or using only the photopod itself. A space of 2 metres by 2 metres is usually enough, with a height clearance of only 2.5 metres. or a normal room height. Our photo booth can send each photograph to social media, email as well as instant printing. Our prints are a huge 9×6 inches and there is no limit to how many you can have with 400 prints in an evening not unusual. 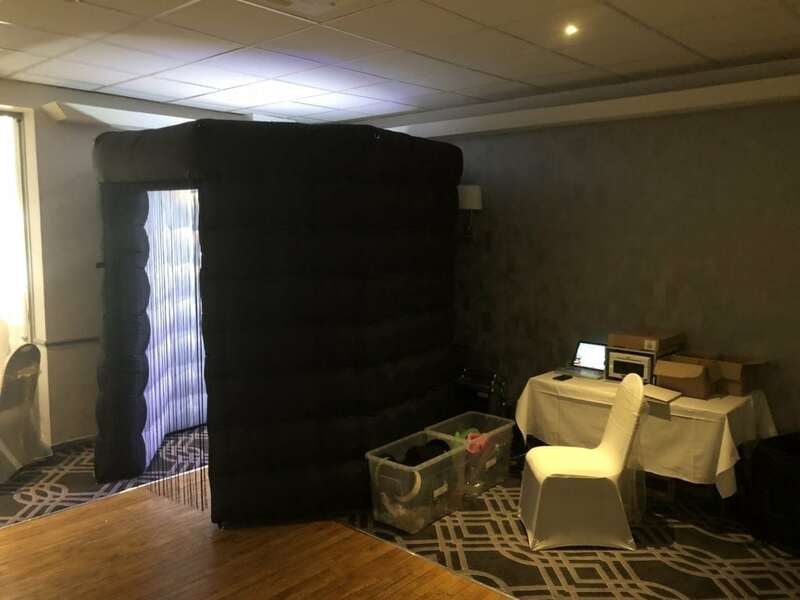 Our photo booth in Gretna Hall Hotel. Every photo booth comes with several boxes of good quality fun props, and the photo booth touch-screen camera allows “stickies” to be added to photos, just like Facebook and Instagram. Most people don’t even need to be shown how to use the camera as it is very simple and on-screen instructions are so easy anyone can do it. Every photo booth has an attendant present for the duration of the hire to assist with photos, prints and props. We also provide beautiful frames for photos at one pound each. 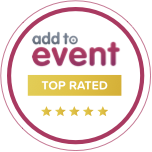 The cost of the photo booth obviously depends on the length of the hire but you can rest assured our price promise will always be adhered to, and that is simply we will not be beaten on price. We believe great fun need not be expensive and will always try to match any reasonable budget. Contact us now for an instant quote. We guarantee you won’t be disappointed. At Platinum Discos we pride ourselves on giving a great service at affordable prices. We have lots of five star reviews on Facebook and YouTube to testify to this. We also offer many other services and products such as Disco services, LED Dance Foor hire, Candy Carts. Giant Light-Up letters and much more.